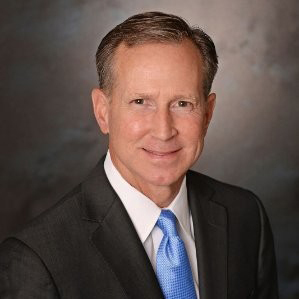 Pitney Bowes, Inc.(NYSE: PBI), a global technology company that provides commerce solutions in the areas of ecommerce, shipping, mailing, and data, announced today that CRN®, a brand of The Channel Company, has named Mark Taylor, Senior Vice President of Channel Sales, to its prestigious list of 2019 Channel Chiefs. The top IT channel leaders included on this list continually strive to drive growth and revenue in their organization through their channel partners. Each of the 2019 Channel Chiefs has demonstrated exceptional leadership, vision, and commitment to their channel partner programs. Channel Chief honorees are selected by CRN's editorial staff as a result of their professional achievements, standing in the industry, dedication to the channel partner community, and straegies for driving future growth and innovation. Mark Taylor, who has been a technology channel leader for over 20 years, is included in this prestigious list for the third year in a row since taking the helm for the Pitney Bowes Software and Data Channel. His commitment to supporting Pitney Bowes Partner's value proposition and revenue growth is constant. Mark's entire team operates with a keen understanding of Channel Partner (News - Alert) requirements of a software and data vendor and shared commitment to a quality Channel program. "It's an honor to have this recognition and to see CRN be the channel advocate over these many years," says Mark Taylor, Senior Vice President of Software and Data Channels. "We rely on both the voice of our partners to guide our programs and support of the Channel, as well as the guidance The Channel Company provides in the market. I'm proud to share this honor with my colleagues at Pitney Bowes."